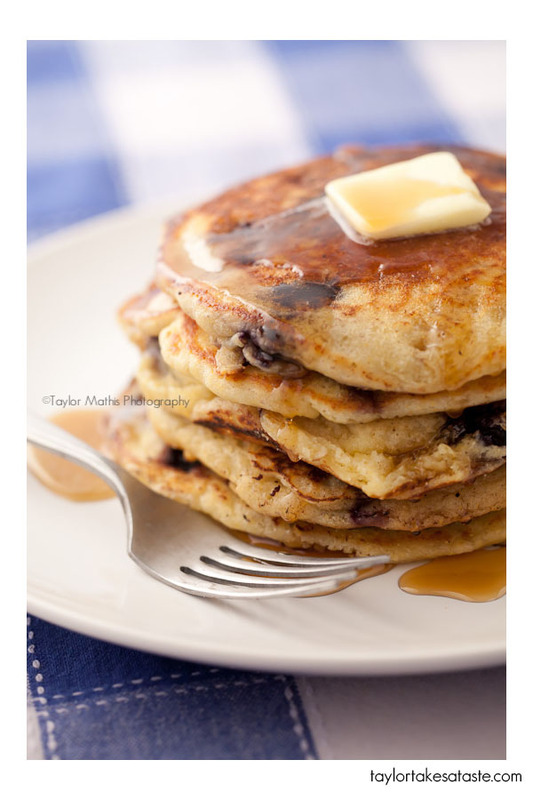 You are here: Home / Breakfast / National Blueberry Pancake Day! Happy National Blueberry Pancake Day! 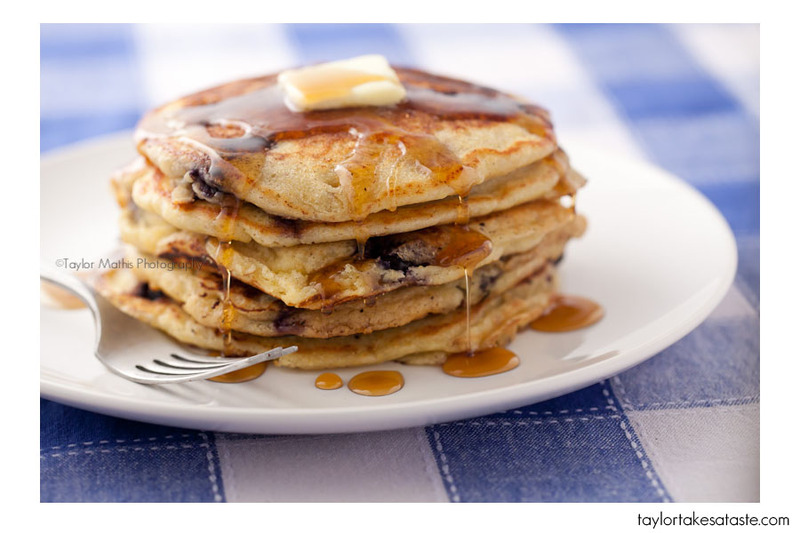 Yes, January 28th is National Blueberry Pancake Day! I am sure many of you were unaware of that fact ( I wasn’t until I looked up National Food Days). In honor of this, I decided there was only one way to celebrate…. I love blueberry pancakes! Last year when I was eating my way through Austin I had a delicious batch of blueberry cornmeal pancakes at Magnolia Cafe. 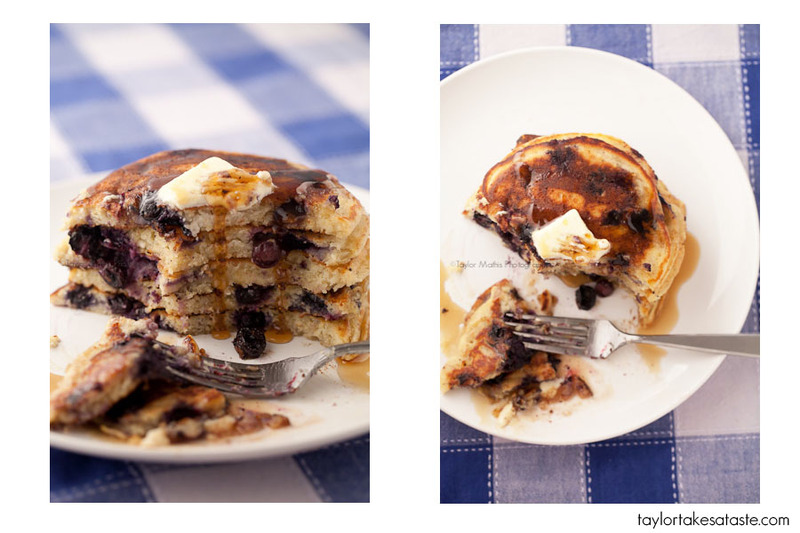 In honor of Blueberry Pancake day I decided to try and recreate these. Here is the adapted recipe from The Joy of Cooking that I used. Combine the dry ingredients in a large bowl and stir so ingredients are evenly mixed. In a separate medium sized bowl whisk together the wet ingredients. Pour the wet ingredients over the dry ingredients and gently stir, stopping once combined. In a mixer, beat the 2 egg whites until stiff peaks are formed. Gently fold the egg whites into the combined wet and dry ingredients. Fold in 1 cup of fresh or frozen blueberries. In a preheated griddle or pan, pour 1/3 cup of batter, forming a circle. Cook until the top of the pancake begins to bubble. You should see bubbles in the center and around the edges. When bubbles begin to pop, flip and cook until the underside is lightly browned. Serve with butter and syrup. 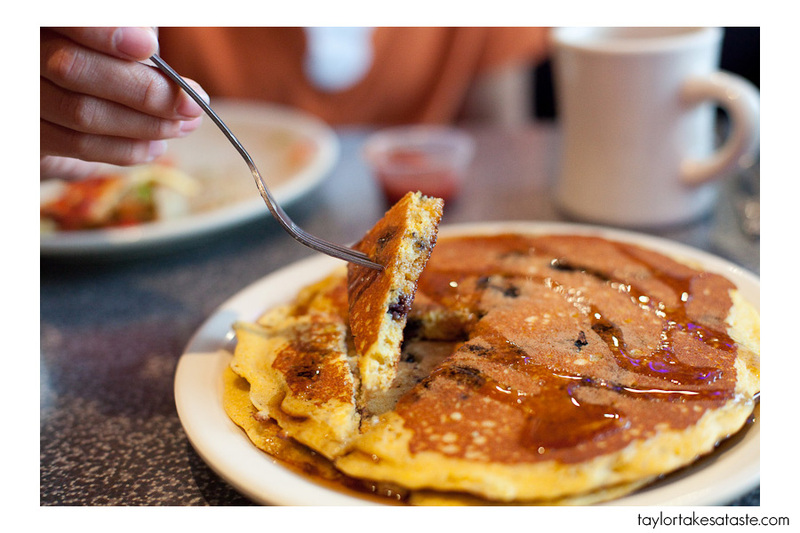 There is no reason why blueberry pancakes should be limited to just a breakfast item! In my opinion, pancakes are an acceptable meal any time of the day. In fact, I enjoy breakfast foods for dinner more than at breakfast time. I am usually not hungry enough in the morning to fully appreciate a great breakfast, but when I have Brinner (breakfast foods at dinner time= brinner) my favorite breakfast foods just taste better! Whether it be for breakfast, lunch, or dinner, I hope you have a great National Blue Berry Pancake Day! Thanks Joy! I hope you enjoy celebrating! Pancakes and Friday are a great combo! 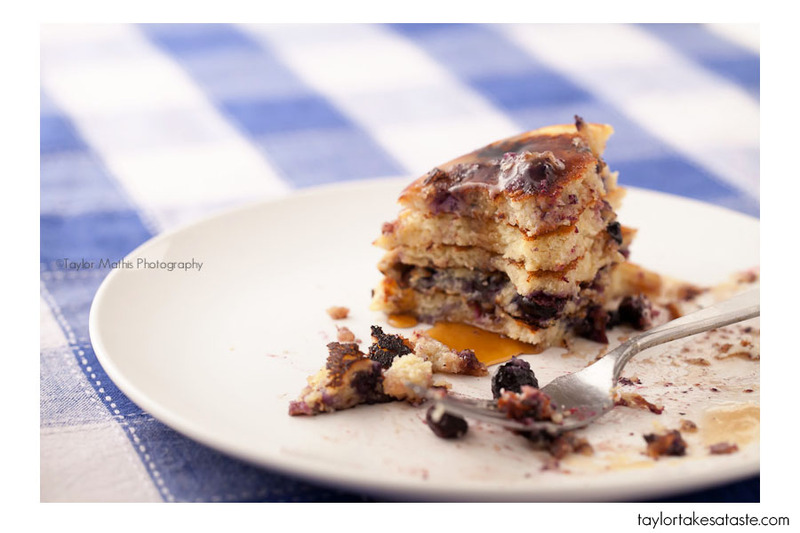 blueberry are my favorite type of pancakes… glad to know there’s a day that honors them in all their glory! haha, may have to celebrate tonight with a brinner of my own! Wow! I can’t believe I could have overlooked National Blueberry pancake day. We immediately changed plans for a “brinner” that included these delicious pancakes. There were unbelievable. Thank you!! Megrinne, so glad to hear you enjoyed brinner and your pancakes! Hope you had a great national blueberry pancake day! Those look delicious. We LOVE blueberry pancakes! We’d love for you to share your recipe and images at dishfolio.com! Yum. These look fabulous! Unfortunately it’s now the 29th, so I’ll just have to celebrate belatedly. Now that is a perfect stack of pancakes – for any day of the year. Great recipe!!! I wil give it a try! Thanks Ali! I hope you enjoy ! Is there anything more enticing than the smell of blueberry pancakes in the morning? Great post, and a delicious recipe worth being celebrated 🙂 Thanks! I love pancakes, my favourite breakfast. I love it with some drizzled honey and ground cinnamon. Would love to try it with some blueberries. This is my first time visiting your blog, you have a nice blog and amazing photography, i can’t wait to have my professional camera and take such great pictures. Thank you.